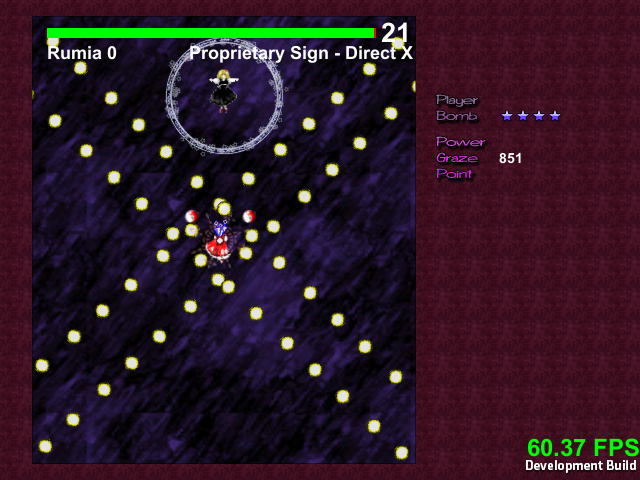 This is a project to create an Touhou RPG game that is unique, not restricted by RPG Maker's implementations and implements almost everything in the Touhou world. 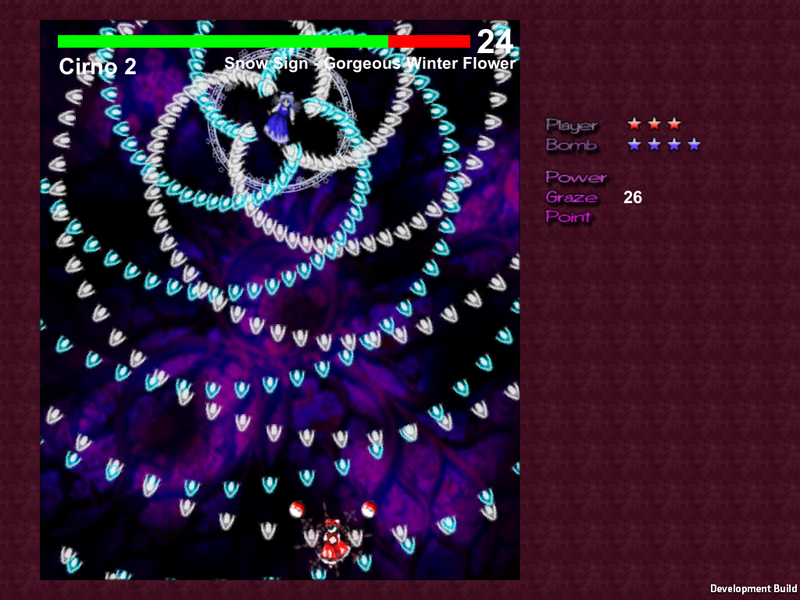 This is the first RPG to feature danmaku battles in addition to regular RPG active time battles! 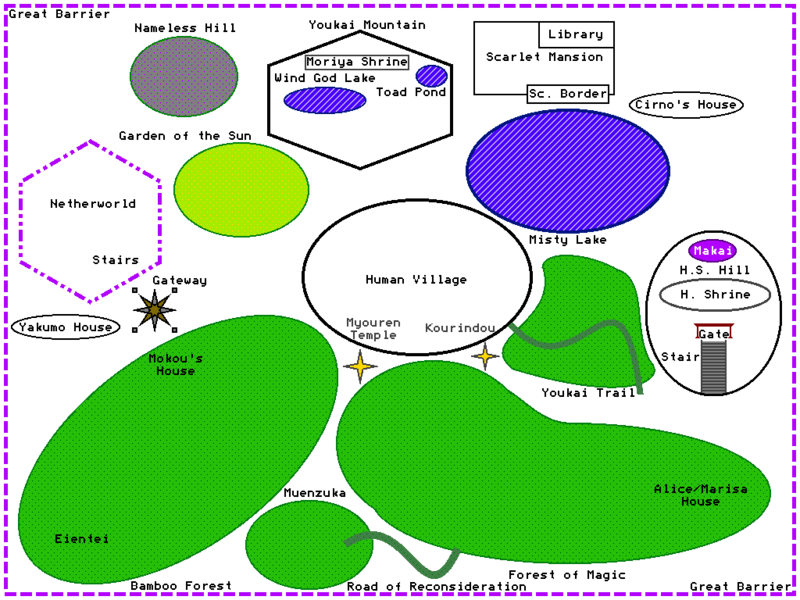 There are also planned Highly Responsive to Prayers style battles where you have to flip all the tiles to win. Additionally the game engine is designed to be extendable so part of the fun is creating a game engine that can be used for other future Touhou (and other) games! Instead of relying on programs such as RPG Maker or danmakufu that are not expandable this game uses Modular Engine, which is based on Unity3D! Modular Engine is a powerful system that splits the game up into code-independent modules with a Kernel that controls the modules and passes data between them. This makes creating new game modes easy as you can focus only on what you are trying to develop and just call other existing modules for unrelated tasks for example initiating a battle or opening the menu. The story will roughly follow the events of canon starting from shortly before the EoSD incident. Of course since this is an RPG and not a STG there will be more dialogue and other events between the stages, for example you won't teleport from Rumia's battle to Cirno in EoSD but will have to search around and gather information for finding the cause of the incident. The PC98 characters will also make an appearance at some point in the game for all you PC98 fans! Spell Card: "Proprietary Sign - Direct X"
To update your existing game faster, download the update/restore .PAR2 file, place it in your game's folder (where the .exe or executable file is) and open it with a utility such as MultiPar and it will update/restore the game for you! 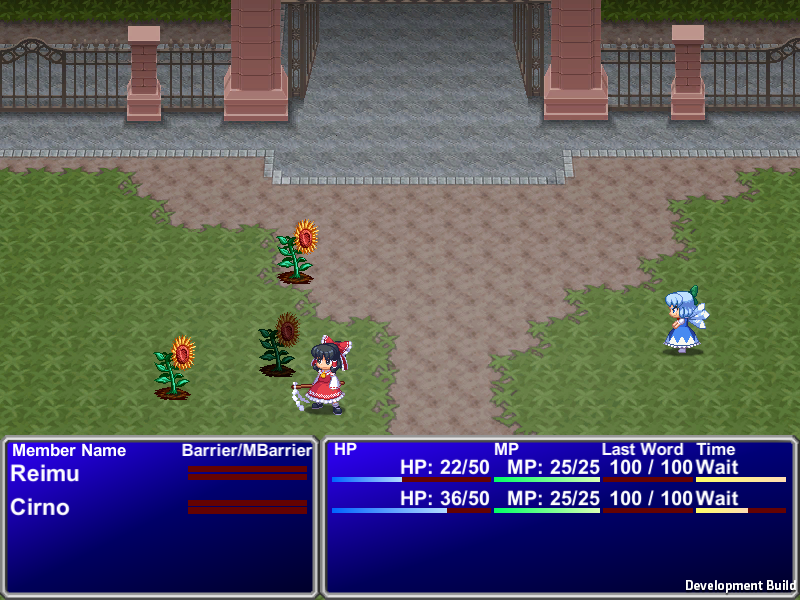 - An error appears in the console in the Battle2d (RPG battle) mode (Does not affect gameplay). - Anyone that knows C++ can help with programming! Reply below if you want to help, you can also find me on #shrinemaiden on PpIRC and on our Discord Server! If you can't help with any of the above don't feel discouraged, post what you think you can do to help! Post claim for future use. Sounds interesting. I'll be looking forward to playing this game! Cool, because on #scarlet-library they told me muenzuka and nameless hill is same place. Probably because of the similar translations of the name muenzuka is Mound of the Nameless. Revision 2 demo is out! Many internal code changes and refinements to make adding content easier. Some performance improvements in the danmaku module. Revision 3 has been released! Async scene loading added, this means glitches when loading scenes are gone! Work has started on remaking the kernel and splitting it up so it is not 1 huge file. Note: Returning from a danmaku battle or ATB battle might not work due to their return code not being updated to use the new Kernel and scene loading! A patch will be released to fix this! Revision 4, has been released! The biggest update yet! Revision 5 has been released! All star game progress has started! Revision 6 has been released! Windows patcher/updater now supports updating multiple versions, it can update both R4 and R5 to R6! Hey there. This looks like a very promising project and I'd like to be a part of it. I'm a Unity programmer and will be able to help with pretty much all aspects of development. Will PM you with finer details and also looking forward to seeing this project shine! Revision 7 has been released! 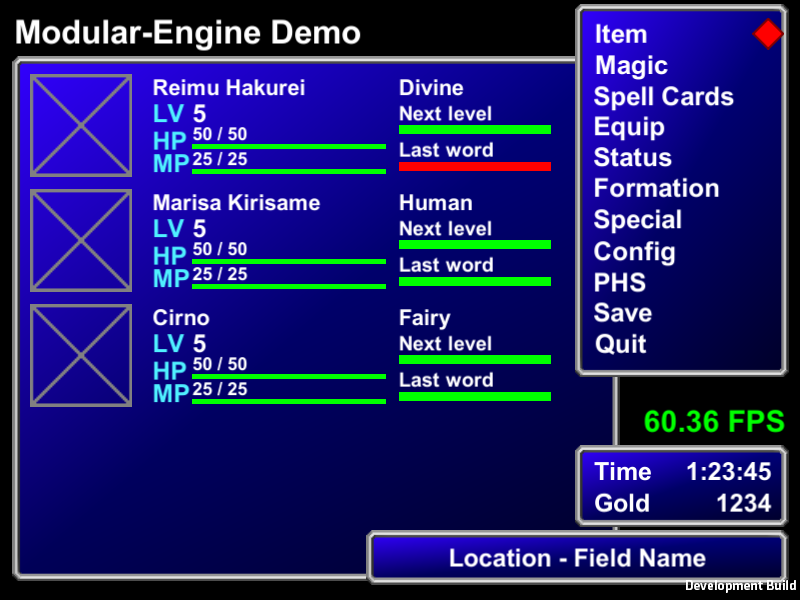 Redid the system for showing spellcard backgrounds, it now is much more faithful to the original, uses less resources and is easier to maintain. Fixed a bug when entering the field module after a danmaku battle it would spam an error. This counter/countdown mechanic will be used in various parts of the story and some special battles too! Revision 8 has been released! Fixed all SlowMode issues, it now slows everything down and does not affect the spellcard/game in any way other than slowing it down. Use [J] to slow and [K] to speed up. 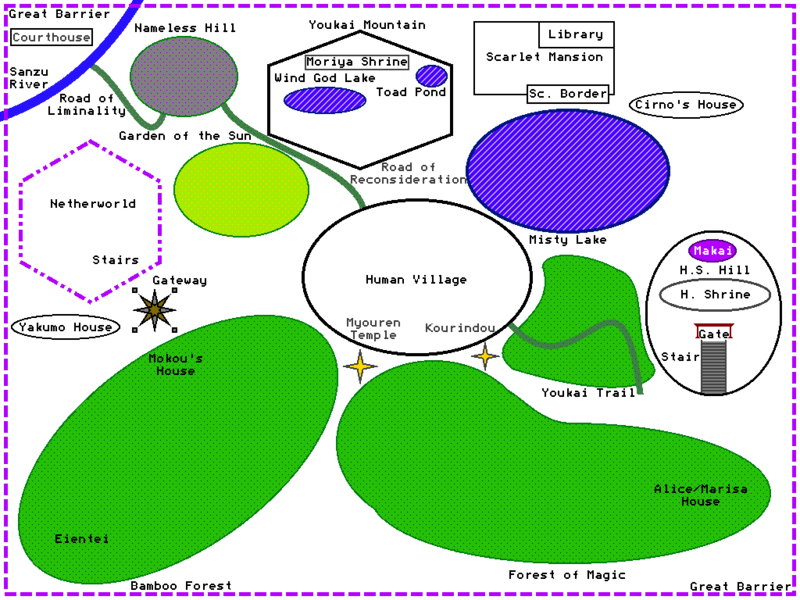 Redesigned the maps and locations of areas to be consistent with the Gensokyo Map. Changed the way Field Maps are made and how they are stored, each map is self contained with all its tilesets and textures in its folder instead of sharing tilesets. Added 1 more music track. Cleaned up unused fields and files. There are no patches for this version because the amount of changes is massive. A new patching solution will be developed to overcome this problem. Revision ⑨ released! The strongest release ever! Added some beta story testing, walk down from hakurei shrine and at the first trees turn right and walk to the edge of the screen, then talk to the characters. Revision 11 has been released! Fixed bugs here and there! We use a different version control system so new developers can easily join in and see history etc. Fixes all NullReferenceExceptions caused by the change of version control. 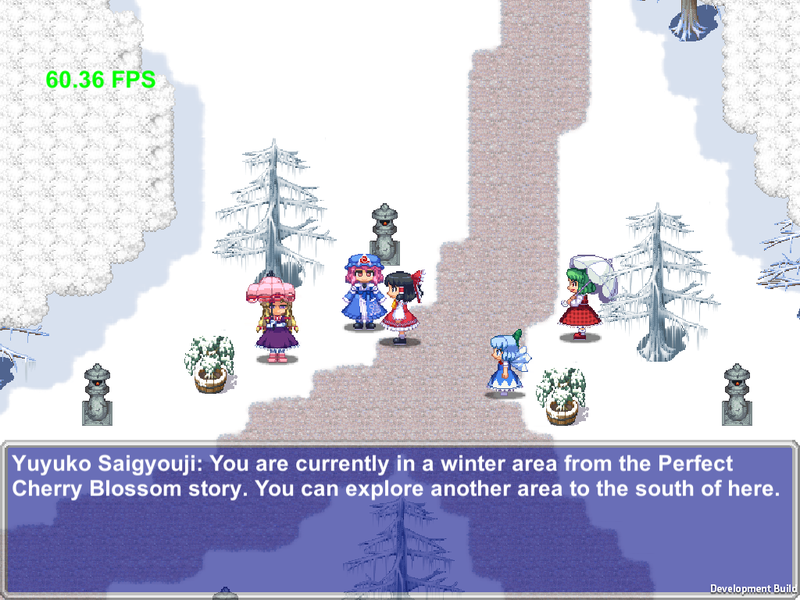 Fixed error when talking to NPCs or touching Yuuka. Finished all changes to version control and normal usage has resumed. Fixed our Discord link, the old one expired! This one is set to permanent. Revision 14 has been released! A lot of Behind the Scenes improvements were done on this build, even if it looks pretty identical to R13 the internals are quite different! Revision 15 has been released! Fixed an error when entering Hakurei Shrine 1F due to 4 OnInteract field scripts not knowing what object to listen for interactions on. 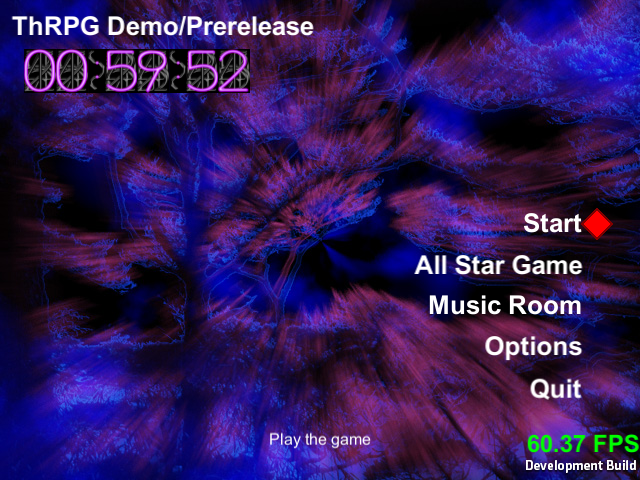 Also made all unimplemented menu options return you to the main menu. Revision 16 has been released! +Updates have returned, you no longer need to download the entire game again to update it! The current update file works with both R14 and R15! *Recoded the entire database system with a much cleaner and more OOP one! *Fixed a bug in the Danmaku Module where you got an error after defeating an enemy and the game softlocked, leaving you stuck in the Danmaku stage with the boss idling. Revision 17 has been released! Revision 18 has been released! Revision 19 has been released! 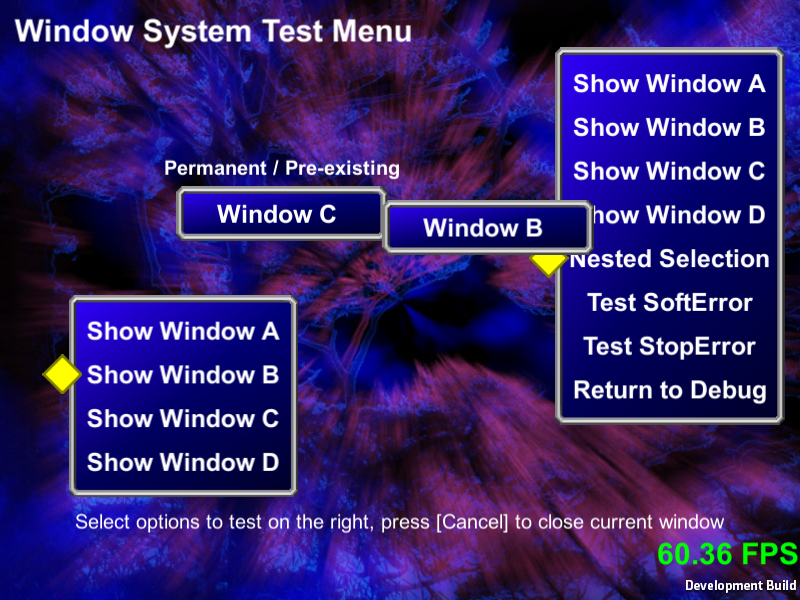 +Added a revolutionary centralized Window System that simplifies the creation and management of the blue windows present throughout the game! *Fixes probably one of the most annoying bugs in the game, the note-hang bug where when changing songs the last note of the previous song would get "stuck"